While, postcards show the interesting areas of a certain place, they are also interesting themselves. Pictures can be sent from all over the world to those who have never actually been there. 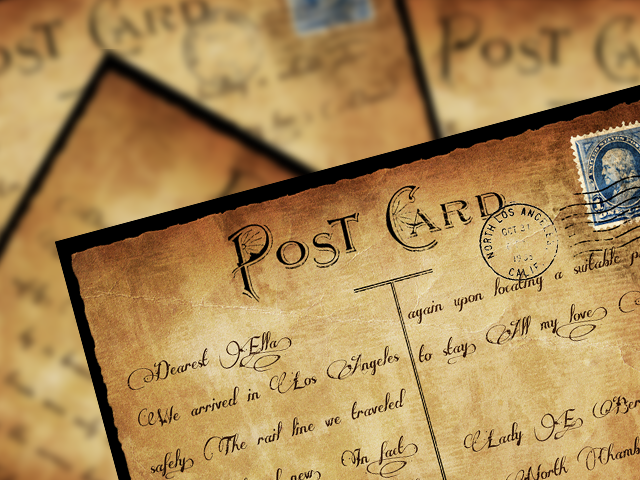 During the Golden Age, postcards were popular because people send a quick "hello" or show a friend or relative where they were staying for a small amount of money. Today postcards are still sent and collected for the same reasons. Postcards widen the conversation by adding a third element: the image itself, whether tacky or beautiful, generic or informative. They’re also, in a way, more real. “It’s the actual physical feel of something,” says Nancy Pope, head curator of the History Department at the National Postal Museum, and “still one of those” who sends postcards. “When you’re able to actually hold something in your hand, that trumps reading something electronically any day.” The U.S. Postal Service processed 770 million stamped postcards in fiscal 2014.